Winter glamping can be just as much fun as summer camping – but without the crowds and surcharges! Luxury glamping accommodation is warm and snug and can include anything from yurts and shepherd's huts to eco-pods, safari tents, treehouses, tipis and cosy cabins with all the mod cons! Rugs on the floor, steaming outdoor hot tubs, plump duvets and a cosy heat source make winter glamping breaks fun. 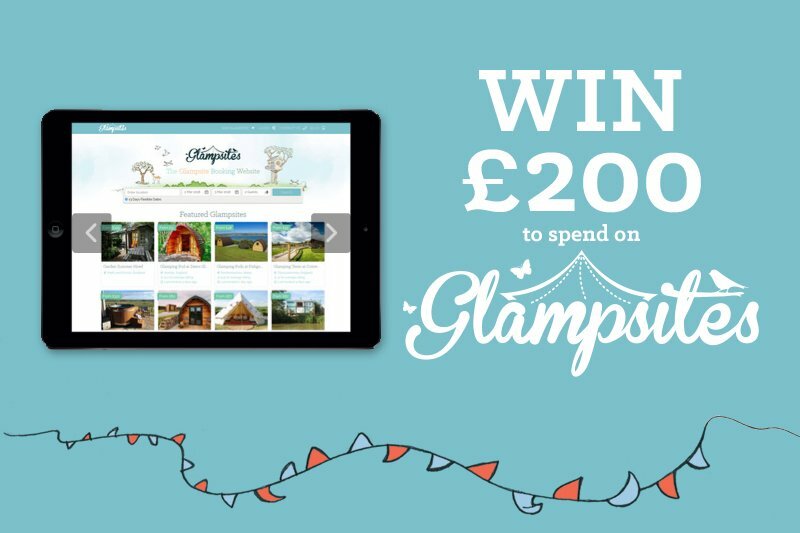 You might even want to get away for Christmas with a Christmas glamping trip! We hear Santa delivers, even if your cosy glamping accommodation doesn’t actually have a chimney! Winter glamping sites are well equipped for off-season breaks. Imagine waking up to a crisp morning with blue skies, lake views and autumnal colour all around. Scotland, the Yorkshire Dales and the Lake District are beautiful in winter when the bracken has turned rusty-brown, the fells are touched with snow and the lakes are dark and still. It’s the perfect opportunity to head off for a walk on footpaths that are deserted at that time of year. Plan your walk to take you past a local hotel or lakeside inn for a hearty lunch beside a roaring real log fire. Pets are often welcome in the quieter winter season. Glamping means “glamorous camping” so expect some extra touches such as winter glamping with a hot tub, sauna or cosy accommodation with a wood-burning stove. Most glamping pods have plumbed in bathrooms, fully-equipped kitchens, “proper” beds and sofa seating with TV, Wi-Fi and more. Some glamping sites even offer bacon rolls or cooked breakfast delivered right to your door! Winter glamping breaks are ideal for Christmas shopping breaks! Escape the bad-tempered shoppers in cities and shopping malls and head to Wales, Sussex or Southwest England. Small towns and villages are beautifully decorated for Christmas and are often a place to find Christmas Markets and Craft Fairs – a great source of original handmade gifts. Return home to your glamping accommodation with its log-burning stove and settle in for the evening with homemade soup, artisan bread,local cheese, farm-cured meats, tasty pies, pickles, cakes and biscuits you have purchased during your shopping spree. As well as having fun sourcing these finds, you have helped boost the local economy which always adds a feel-good factor. New Year’s glamping breaks are a great way to start the New Year memorably. Imagine toasting the New Year beneath a starry sky, wrapped in warm scarves with a glass of mulled wine or hot chocolate. You won’t be driving home so you can enjoy the evening as you wish. Some glamping sites open all year and have an onsite bar or clubhouse. Where better to meet like-minded people and make new friends? Glamping and camping does not have to be a solitary experience – unless you want to get away from it all. Alternatively, local villages have quaint pubs and taverns that are the heart of the community. Enjoy a tasty meal in a cosy atmosphere, join a pub quiz and play darts all within walking distance of your glamping accommodation. As you can see, camping is not just a summer pursuit. Glamping raises the standard with higher levels of comfort and luxury, making camping a year-round pleasure.